Every now and again, a manufacturer decides to bring out a unique and interesting design for a product. 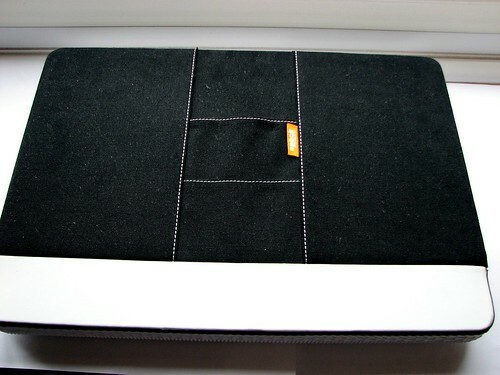 Well, Speck have come out with the Canvas Sport case for the MacBook and MacBook Pro. Available in pink and black, this sneaker-styled case is more like a sleeve in that it doesn’t store much else other than your Mac. The unusual design route that Speck have taken with this case strikes me as odd to say the least. 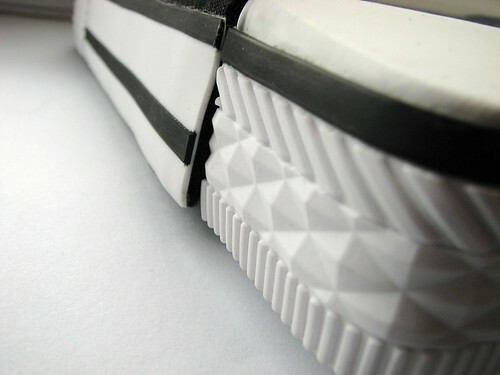 It’s modelled after the classic sneaker look with the underside ‘sole’ designed with a distinct pattern similar to that on your shoe and is used as a hand grip. White stitching at the seams gives the Canvas Sport a ‘jeans’ look if you can ignore the big white rubber sole. 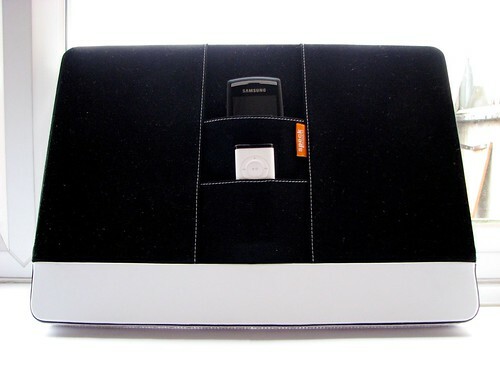 The top exterior of the case does include a double front pouch for storing an iPod, a slim phone in the larger pocket or something like the Apple Remote in the smaller pocket. It’s nice that this is included but it could have been implemented better with more room or at least more flexibility in the material used to construct the pocket. When you unbutton the lid it flips open to reveal a nice black, soft interior. Running your hand over this part reveals that this really cushy material is definitely going to give your Mac some decent protection and makes it suitable for putting it to sleep at night with. My MacBook Pro whispers to me at night saying that this is the softest case it’s ever slept in. Softer than any other case I’ve reviewed before and because of the thickness of the case, there’s no flexing or pushing in of the case. So the outside has a really tough build but the inside is soft. If you try pushing your finger inwards on the outside of the case and vice versa, you’ll see that it has no effect on the shape on the opposite side. This is re-assuring should your Canvas Sport ever experience any sharp or blunt objects trying to push through, or if someone tries to stab you. The size of this case and its ability to perform as a case leaves something to be desired however. The Speck Canvas Sport has a mixed identity crisis in being branded as a case but is more like a sleeve. 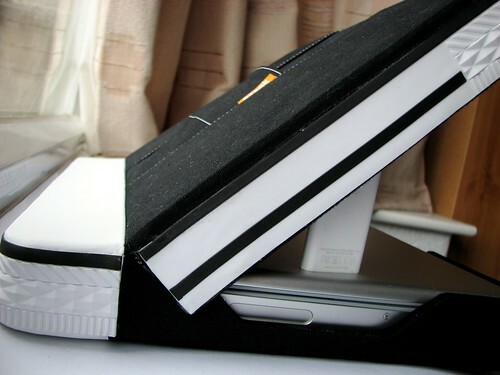 It doesn’t have the capacity of a case to store more than a few sheets of paper and something small in exterior pockets. The size and weight of the case as well as the solid construction meant that I didn’t like the feel of holding it either, it just wasn’t comfortable enough for me. 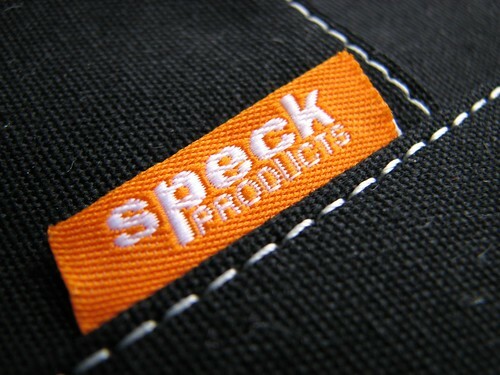 Speck Products are quite new to the area of Mac cases so it’s an easily forgiven mistake to introduce the Canvas Sport. It succeeds at being a stylish sleeve rather than a case, because the exterior pockets doesn’t merit this to be called a ‘case’ and should instead be sold and used as a sleeve. I’ve really tried to like the Canvas Sport whilst using it for the past month but the experience I’ve had hasn’t been the best. The head turning design can be a conversation piece, because the Speck Canvas Sport looks completely different and sets itself aside from all other case and sleeve manufacturers, so it gains marks for that aspect. 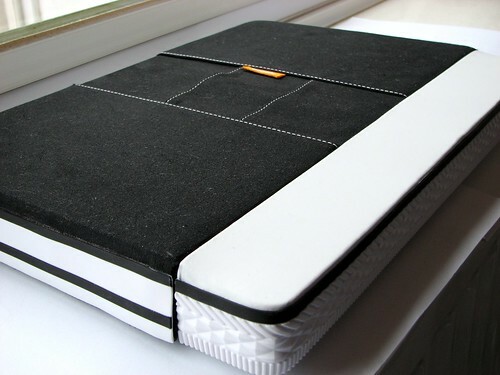 That alone hasn’t been enough to win me over though so it’s not one that I would recommend since it’s real purpose is more as an innovative design rather than an innovative storage and protective solution for your Mac.